For paddlers Plas y Brenin couldn't be in a better place. We're surrounded by all kinds of water, from the fast flowing rivers and still, picturesque lakes of Snowdonia to the rolling surf and tidal streams of the Anglesey coast. 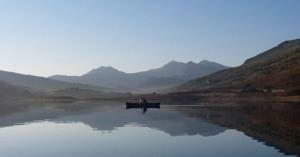 Situated just off the A5 on the A4086 in Capel Curig.